Causeacon is hosting it’s first Nerf War this year! Be prepared to battle it out in the most satisfying way…shooting each other with foam darts! What is a Nerf War? 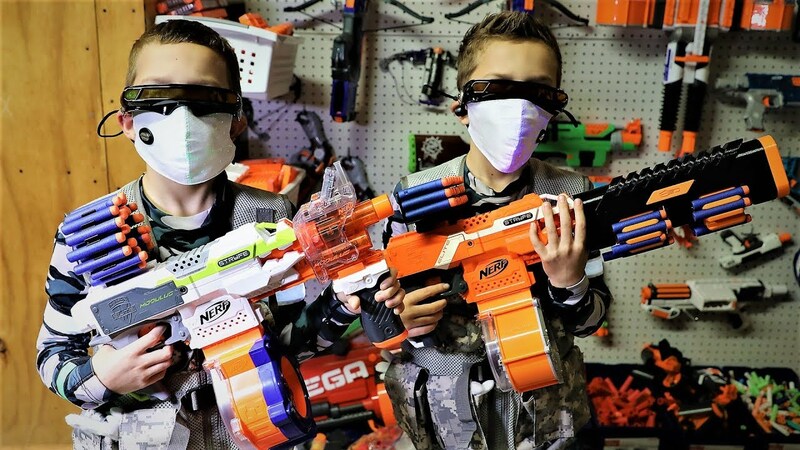 A Nerf War is where players gather in a space with their nerf guns and have an all out brawl against each other and play various game styles with nerf weapons. 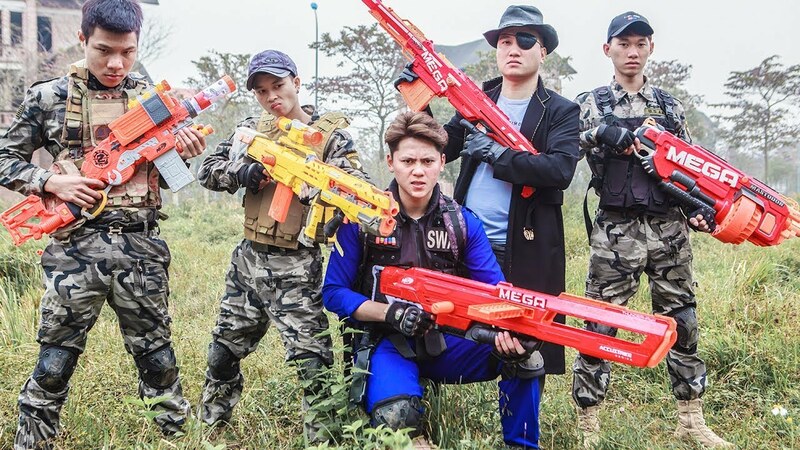 Each player participating in the Nerf War needs to bring their own Nerf guns to use, Nerf guns will not be provided for players during the event. Please do not bring your own Nerf darts, they will be provided by Causeacon. Anyone bringing their own Nerf darts, shooting them in the convention center or taking darts after the Nerf War will be escorted out of the convention, their ticket/badge revoked with no refund. All players are required to bring some form of protective eye wear: goggles, glasses, helmet, face shield, anything that covers your eyes but allows you viability. Any player without proper protective eye-wear will not be admitted to participate in the Nerf War. Safety first! Can I use other foam weapons such as swords and shields? At this time, we are only allowing Nerf style projectile guns that shoot the standard size dart (no oversized and no spherical shaped). Does it cost anything to participate in the Nerf War? All it requires is for you to show your Causeacon wristband or badge! Is there an age limit/requirement? All ages are welcome to participate in the Nerf War. Children under 8 may find this activity a little intense, so parents, use your own discretion when letting your children participate. What game styles will we be playing during the Nerf War? Every man for himself! Each player has ten hit points, and loses one each time they are hit. If several darts from the same automatic weapon hit you at the same time, this typically only counts as one hit. You leave the game once you are out of hit points. Players are separated into two teams. Each player has ten hit points, and loses one each time they are hit. If several darts from the same automatic weapon hit you at the same time, this typically only counts as one hit. You leave the game once you are out of hit points. Players are seperated into two teams and have a 10 minute time limit set. At the end of the time limit, the team with the least amount of darts on their teams side wins! 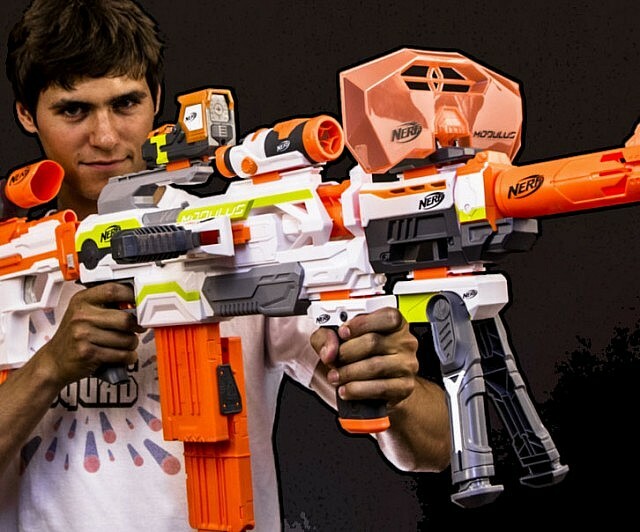 When and where will the Nerf War be held? Next PostWho You Gonna Call?